Founded in 1983 by local running enthusiasts who wanted to share the beauty of the Grand Traverse Region and the Old Mission Peninsula, the Bayshore Marathon has become a “must run” for runners throughout the Midwest and beyond. Many runners return year after year to enjoy the scenic courses which run along the shores of beautiful Grand Traverse Bay. 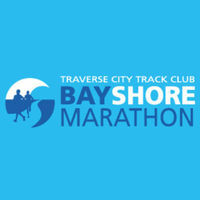 Bayshore events feature a 10K, half marathon and full marathon. To ensure a more enjoyable experience, the number of runners in all three races is limited. Bayshore races are always held on Saturday of Memorial Day Weekend. Aid stations are located at the following mile markers (from the marathon and 10K start): 1, 2, 3.6, 4.6, 6.7, 7.9, 9.5, 10.9, and 12.9. All aid stations will have water and Gatorade. Aid stations 3.6(return only), and 10.9. Aid stations 3.6 and 12.9 will also have oranges.